The Supreme Court on Monday declined to hear a challenge claiming that Google’s scanning of their books amounts to wanton copyright infringement and not fair use. The Authors’ Guild originally sued Google, saying that serving up search results from scanned books infringes on publishers’ copyrights even though the search giant shows only restricted snippets of the work. The writers also claimed that Google’s book search snippets provide an illegal free substitute for their work and that Google Books infringes their “derivative rights” in revenue they could gain from a “licensed search” market. At issue is a June decision by the 2nd US Circuit Court of Appeals that essentially said it’s legal to scan books if you don’t own the copyright. “The distinction between what is fair use and what is infringement in a particular case will not always be clear or easily defined. There is no specific number of words, lines, or notes that may safely be taken without permission. Acknowledging the source of the copyrighted material does not substitute for obtaining permission,” the US Copyright Office says. There are, however, at least four factors that judges must consider when deciding fair use: the purpose of use, the nature of the copyrighted work, the amount and substantiality of the portion taken, and the effect of the use upon the potential market. The Supreme Court did not comment in its order other than to say that Justice Elena Kagan did not participate. “Google Books gives readers a dramatically new way to find books of interest, by formulating their own text queries and reviewing search results, users can identify, determine the relevance of, and locate books they might otherwise never have found,” Google’s brief said. Unlike other forms of Google search, Google does not display advertising to book searchers, nor does it receive payment if a searcher uses Google’s link to buy a copy. 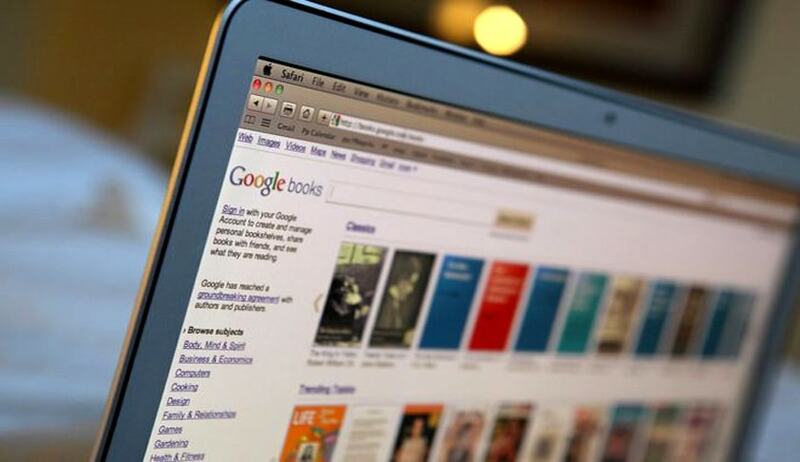 Google’s book scanning project started in 2004. Working with major libraries like Stanford, Columbia, the University of California, and the New York Public Library, Google has scanned and made machine-readable more than 20 million books.